Since the end of the 19th century humans are able to accurately reproduce noises, sounds and music by the means of technology. Pre-modern societies, on the other hand, have almost exclusively relied on notation to pass on musical performances to future generations. This means that the further we go back in time, the less we know about the sonic footprints of particular civilizations. Most sounds have long died away: how are we then to approach the world of hearing and listening if it can no longer be directly accessed? 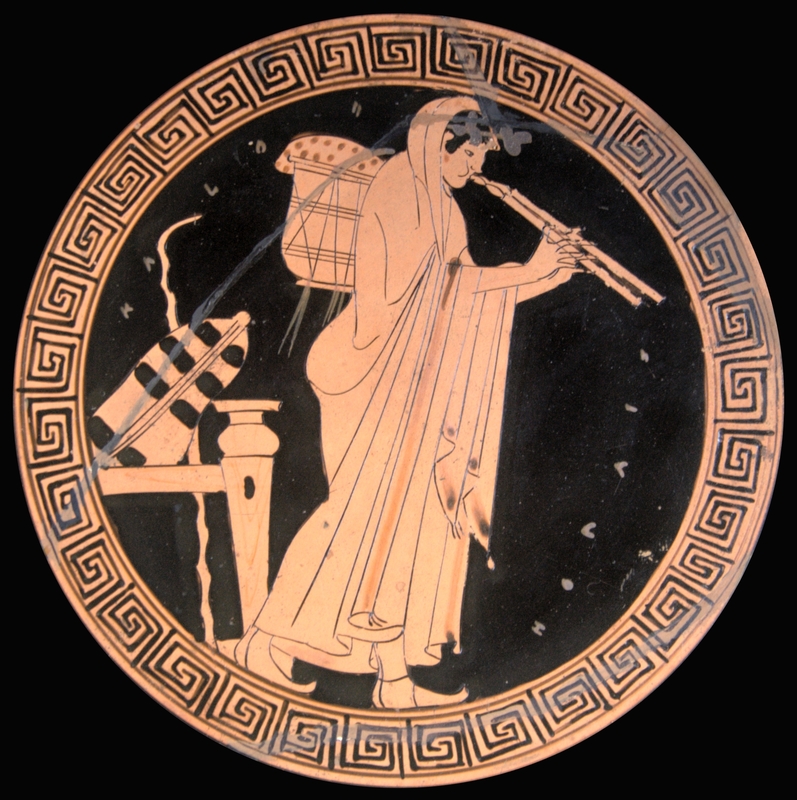 What methods and sources are available to the historian to account for ancient sounds? And what does modern-day acoustics have to offer to better understand historical soundscapes? Two experts in the fields of classical philology and acoustics will discuss these questions by looking at two examples from Greek and Roman history. The presentations and the following panel discussion will be held in both English and Italian. Valentina Zanusso is teacher in literature subjects at the Benedetto da Norcia lyceum in Rome. She is currently working at her PhD thesis in ancient philology and literature under La Sapienza university. She was contributor of the Dictionary of Greek and Roman Science and Techniques (2009) and of numerous editions of the book series “Il Pensiero Occidentale” (Bompiani) in particular of all of Plutarco’s Moralia. She is a researcher of the following topics: Quinto from Smirne, Ditti from Crete, and of the Attican theatre, in particular of the performative and dramaturgic aspects. She is editor of the magazines Poiesis and Appunti Romani di Filologia. Jürgen Strauss is a trained physics lab technician. He is the founder and owner of the internationally active STRAUSS ELEKTROAKUSTIK GMBH and the company STRAUSS RAUMAKUSTIK. His professional involvement extends to the development and production of loudspeakers, audio electronics and the design of room acoustics concepts for concert halls and music studios. In collaboration with ETH Zurich, Jürgen Strauss has worked on the development of acoustic diffusers and their application in concert halls, offices and living spaces. His research and teaching activities at the ETH / Z, the FH Bern and the Max Planck Institute for Empirical (Music) Aesthetics combine systematic and philosophical-historical questions on the topics of “Architecture and Acoustics” and “Music and Acoustics”. The focal points of his historically oriented research are the reception of Lucretius by Vitruvius, Athanasius Kircher’s baroque echo poetics and Joseph Haydn’s early symphonies in the shoe-box-concertroom in Eisenstadt.